Rising Phoenix - PokéOne Community - News - Preview of Move Animations in progress. in This channel you can see on which moves are worked on. The focus lies upon moves used commonly in PvP. The goal is to create an animation for all moves. 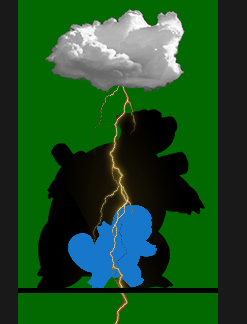 Like you've seen the clouds and lightning got their own size and need to be positioned correctly (x, y and z as coordinates) to hit the target correctly. Wartotle got a average size, but some Pokémon are bigger Avalugg or even smaller Weedle. There for the De'vs need to do tests ingame before they can release the code to the game. Hi everyone. As you could see from last announcements, we started working on move animations. This channel will be ready-only in order to not create a mess, but you can react to some previews since we strongly believe that a large feedback is needed. Also feel free to tag me in general so i dont miss a single message and we will be able to discuss animations aswell. IMPORTANT NOTE: Every move animation is extremely work in progress and needs mass testing in game, so despite you see how it should work, that doesnt mean the animation will be in game any soon. Basically the preview is just a "package" that needs to be added in game as code and later tested, also we need several ingame interactions to understand if variables like move range have been dimensioned properly or not, and that takes time, along with the time needed to create the animation from zero. In fact, we are not able to just take animations from other games and put them in game, so every single move (or a group of moves) requires a brand new project for each animation needed. Please pay patience and in the midtime enjoy previews and discussing them. Please dont be afraid of reacting and sharing your opinion in general, also tagging me if needed, since i really need and appreciate your opinion, in order to satisfy everyone with out work!